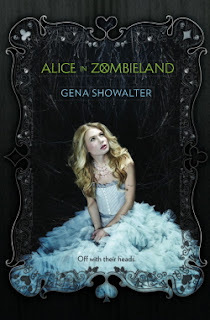 I was initially attracted to this book by the title, Alice in Zombieland, it filled me with visions of a magical world filled with wonder and excitement and creepy rotting corpses around every corner waiting to devour even the wariest of travelers. But it turned out to be not quite what I was expecting. Instead of a magical world it was an everyday one, and the zombies were not the usual run of the mill, brain eating zombies (points for creativity though.) Was I disappointed? Perhaps a little to begin with, but the small amount of disappointment and doubt soon vanished as I became eager to know what fate would deal Alice next. Alice is strong character but is not without her flaws, and lets face it who wouldn't have flaws after having their life turned upside down in a instant. It is interesting to see how she transforms throughout the course of book. Then there is the love interest, Cole, after all what is a Gena Showalter book without a good love interest. A typical bad boy, or is he? There is more to this boy than first meets the eye. Alice and Cole's relationship is not by any means 'normal' it develops at a good pace despite the fact that at times I found their indecisive attitudes toward each other frustrating at times. My overall favourite character was Alice's best friend Kat. She is wacky, confident, loyal and impossible to ignore. Definitely one character that has stuck in my mind long after the book has closed. 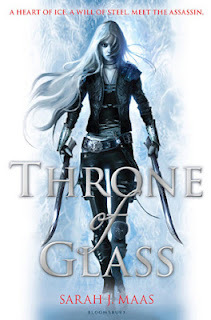 The plot moves along at a steady pace making it easy to lose track of time and left me not wanting to put it down as I eagerly devoured each chapter. There was a distinct lack of creepiness radiating from the zombies that left me a little sad, although this makes it a perfect read for a wider audience and makes this a perfect novel for those eager to 'test the waters' of a genre that may be out of their comfort zone. Overall I found Alice in Zombieland to be a great read and I can't wait for the sequel Through the Zombie Glass. 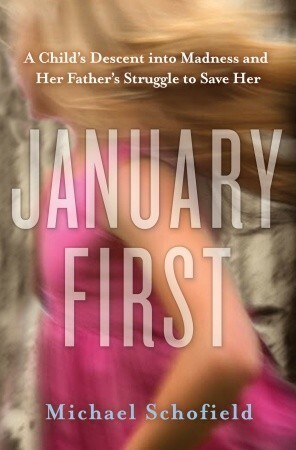 January First is the extraordinary story of a father's fight to save his child from an extremely severe case of mental illness in the face of overwhelming adversity. At six years old, Michael Schofield's daughter, January, was diagnosed with one of the most severe cases of child-onset schizophrenia that doctors had ever seen. In January's case, she is hallucinating 95 percent of the time that she is awake. Potent psychiatric drugs that would level most adults barely faze her. January, "Jani" to her family, has literally hundreds of imaginary friends. They go by names like 400-the-Cat, 100 Degrees, and 24 Hours and live on an island called "Calalini," which she describes as existing "on the border of my world and your world." Some of these friends are good, and some of them, such as 400, are very bad. They tell her to jump off buildings, attack her brother, and scream at strangers. In the middle of these never-ending delusions, hallucinations, and paroxysms of rage are Jani's parents, who have gone to the ends of the earth to keep both of their children alive and unharmed. They live in separate one-bedroom apartments in order to keep her little brother, Bohdi, safe from his big sister--and wage a daily war against a social system that has all but completely failed them. January First is the story of the daily struggles and challenges they face as they do everything they can to help their daughter while trying to keep their family together. I don't read a lot of memoirs but this one grabbed my attention right from the beginning. It is a raw and emotional read as you are placed in the middle of the lives of an extraordinary family who struggle daily with reality of mental illness. This book is not an easy read, there is no 'sugar coating' on the challenges that the family faces as they struggle to find help for their daughter and keep their family together while the illness tries to tear them apart. An honest and heart wrenching view into the world of mental illness and how it affects not only the sufferer but also the family, January First is a book that will make you think twice before judging the family with the screaming child on the street and count your blessings. This book kept me up late into the night and lost for words. Sixteen-year-old Caroline ‘Miki' Patrick confides to her best friend — the outspoken, smart-mouthed Jude — that she's pregnant. Miki's parents place her in the iron embrace of St Anthony's, a home for wayward girls, with the scheming Sister Angela pressuring her to give up her baby. But Jude convinces Miki they can raise the child, and together they make a pact and take to the road. But the teenagers are ill-prepared for the hardships they face, and after one particularly difficult night, fate separates them. Alone, poor and scared for her baby's welfare, Miki ultimately surrenders Dominic to the home. Two decades later, Miki is a dangerous woman, and she's on the run. A vocal anti-war activist who assists draft dodgers, Miki is hiding from the Federal Police and never stays in one place very long. That is, until Dominic's birthday is drawn in the conscription lottery and Jude steps back into her life. 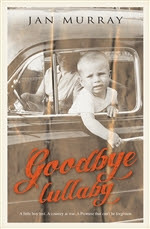 A story of love, friendship and forgiveness, Goodbye Lullaby is a moving read that tells the story of a young unmarried mother, Miki, her illegitimate son, Dominic and her best friend, Jude, as they struggle to survive in the 1950s. Fate tears this unusual trio apart only to reunite the two women 20 years later when Dominic's birthday is drawn in the conscription lottery. Now they are determined to find 'their' son before they risk never seeing him again. It took a while for me to get into this book, it felt a little disjointed to begin with as the chapters jump between the two periods and I have a bad habit of not reading chapter titles or anything that resembles chapter titles, but after realizing this was the case I soon became comfortable with the format and began to get sucked into the lives of Miki and Jude. I admired the courage and determination of the two young women as they faced the struggle of raising a child in a time that had no sympathy for young single mothers. Jan Murray transports us to very emotional part of Australia's history as she tells not only the fate of young single mothers but also touches on the stolen generation of indigenous children, a story which most are unwilling to discuss. Well done Jan! Although not a high action book the pace is steady enough to keep the pages turning and the story lingers in my mind after I have closed the book. I can see this one being picked up by book clubs as it has great discussion potential.